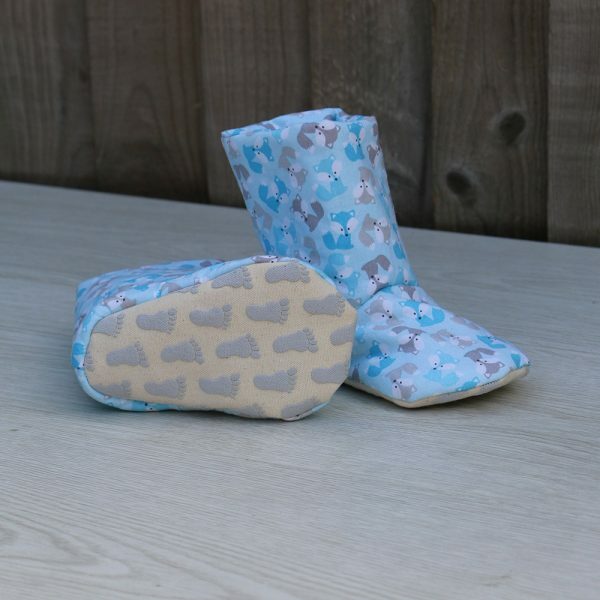 These cute baby boots has been handmade from light blue cotton with a cute fox print pattern cotton with matching lining, a layer of fleece has been added between fabrics layers to give the booties added structure. The soles have light grey feet shaped non-slip grippers. 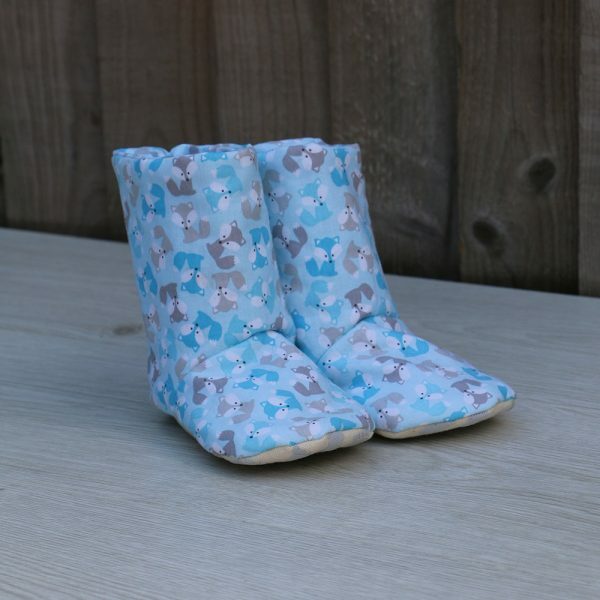 Size of booties are ideal age 12-18 months approx.